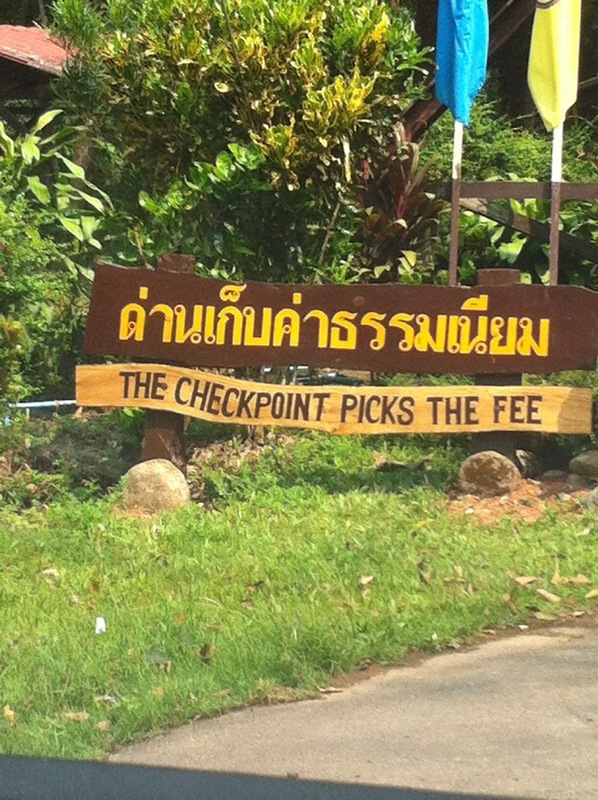 Well, the checkpoint is just the entrance into the state park, the fee isn’t ‘picked’ as it’s posted on a sign, but the fee in 10x more for foreigners than Thais. This entry was posted in Language, photographs and tagged Thailand English translation. Bookmark the permalink.